Escape the touristy beach resort of Hua Hin and visit the tranquility of some of Thailand’s lesser known coastal paradise beach resorts by bicycle. 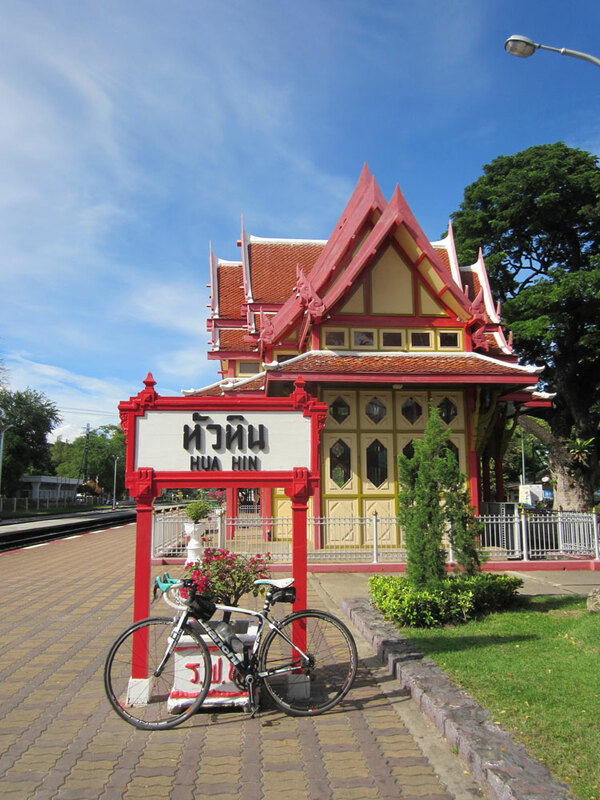 Join us for a 4 day magical journey from Hua Hin to Ban Krut along the Royal Coast of Thailand as we visit the many sites there are to see while cycling through beautiful countryside and beach-side roads. This adventure also includes a bit of trekking, monkey feeding (nice ones), sightseeing, some unique and beautiful temples, an aquarium visit, a boat ride, and more. *We can handle much larger private groups but like to keep mixed groups small for quality control. Today will be through Hua Hin, Khao Tao, Pak Nam Pran, Khao Khalok (option to climb a nature trail) and Pranburi Beach along more beachfront roads to finish the day’s ride on Sam Roi Yod Beach. 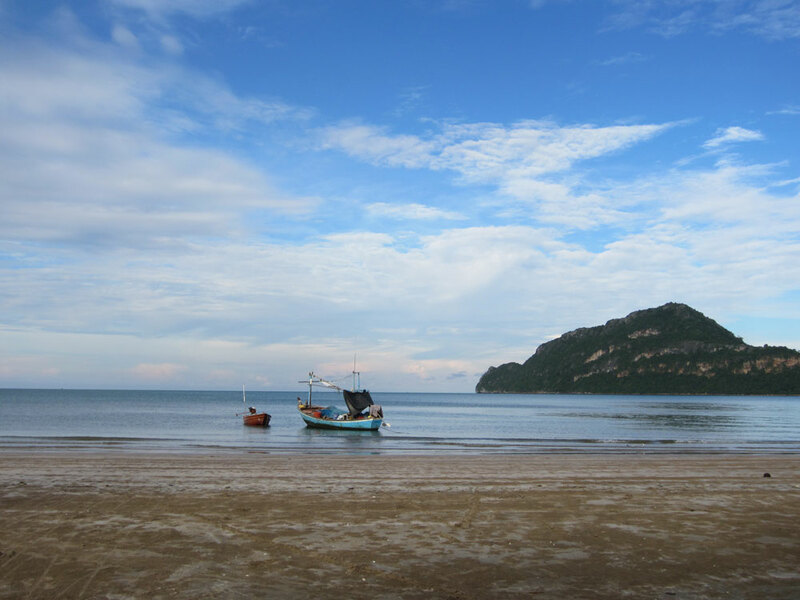 Upon arrival at our beachfront resort we will get settled and take the van to lunch on Bang Phu Beach before taking the boat around to a private beach where we will climb up and then down into Tham Phraya Nakhon Cave. 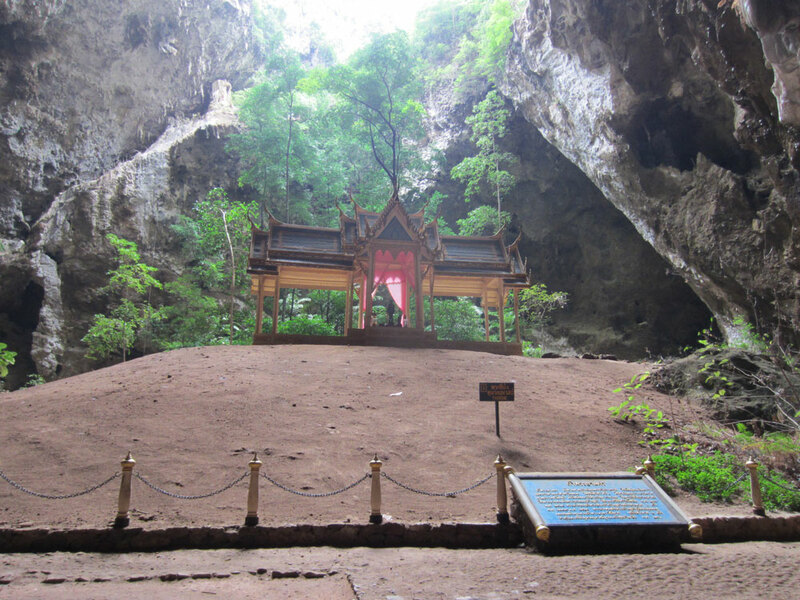 The climb is a bit of a workout itself but well worth the visit to this spectacular cavern that has been visited by at least three of Thailand’s Kings in the last 150 years. Then it’s back to the resort for more rest and relaxation before dinner. We will lead a nice leisurely ride down the beach road to Bang Saphan and back just to take in more beautiful beach riding before coming back to our favorite town in Thailand for another afternoon in paradise. The ride will get us back in time to take a swim in the soothing pool the resort has to offer or simply head to the beach for a swim in the Gulf of Thailand. After lunch we will start to head back to Hua Hin or help riders who wish to go elsewhere get the transfers they need. For those that wish to stay in Ban Krut (our personal favorite) for a few more days of beach paradise we will be happy to help make hotel and transportation arrangements. Comfortable 2 ½ to 4 Star Accommodations with Air Condition, Hot Water, and Swimming Pools from the afternoon of Day 1 through the afternoon of Day 4. Return transportation to Hua Hin from Baan Krut as well as full time support vehicle with A/C and more during the tour. Assistance in finding transport further north or south is also available. There will always be a support vehicle behind the last cyclist.